I got back Tuesday from a wonderful visit with friend and fellow photoblogger Pat, and her hubby. 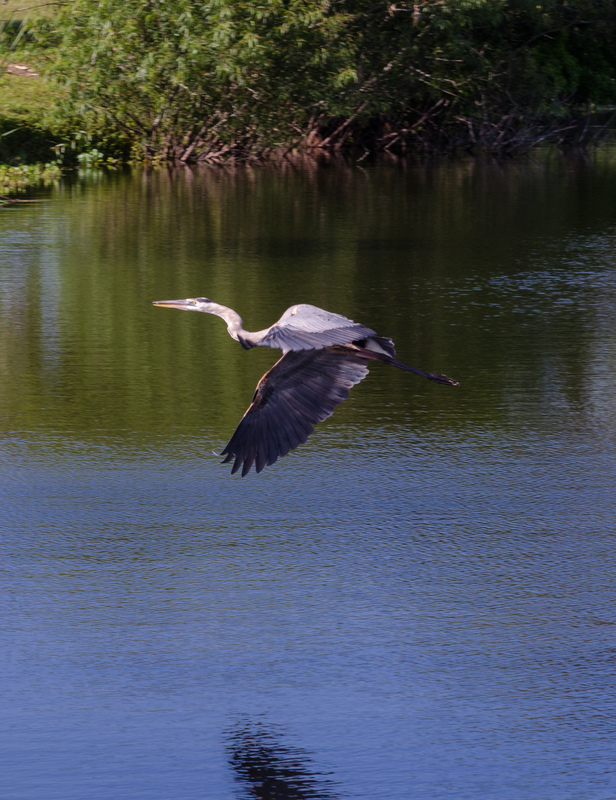 Naples Florida was our home base, but Pat and I did a few photo safaris. 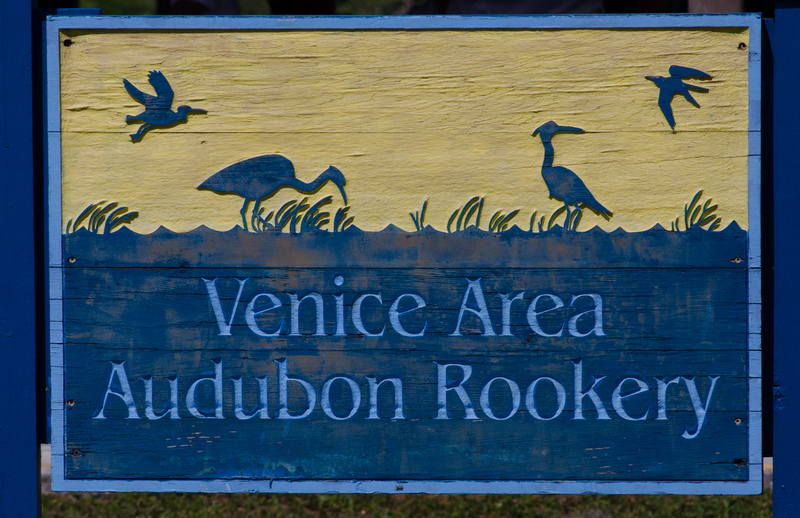 One such visit was to the Venice Rookery. 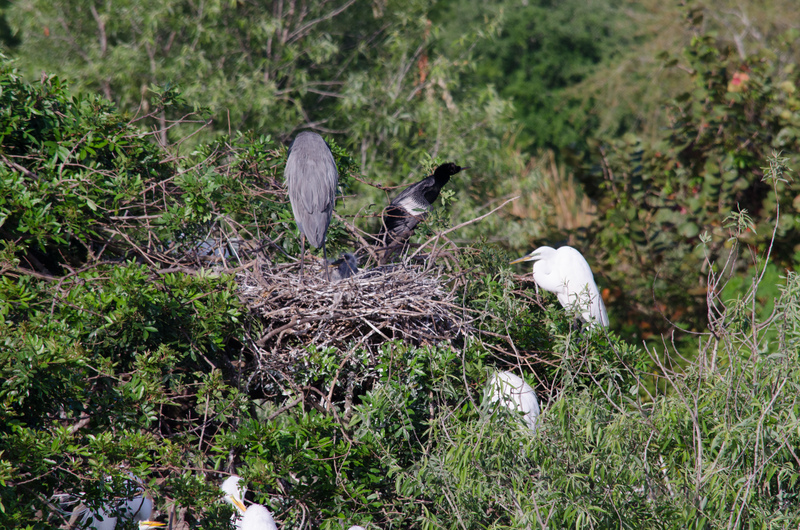 A rookery is a nesting area for birds that are harmonious (mostly) with each other. 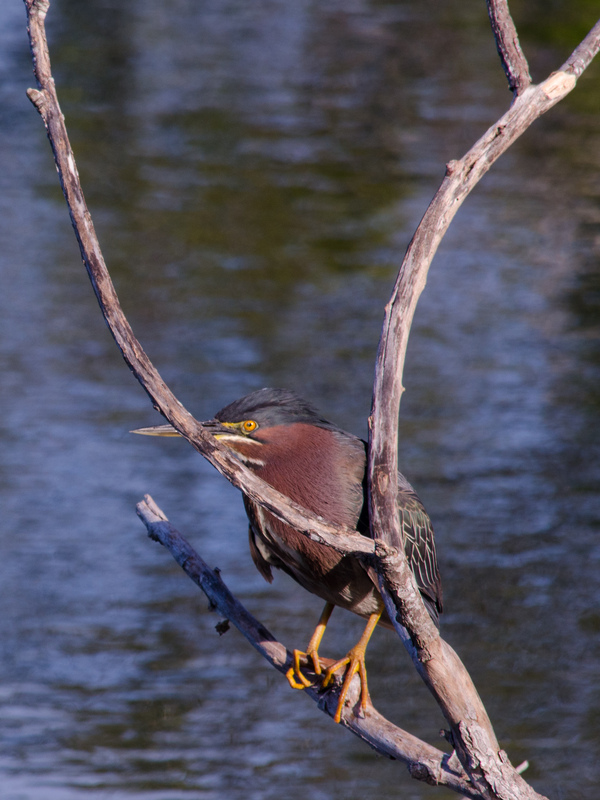 This particular rookery was a small island – maybe 45 feet in diameter – with trees and vines that stack up 20-25 feet high located in a large pond (or small lake). The nesting birds were mostly wading water birds in this moat-like setting. 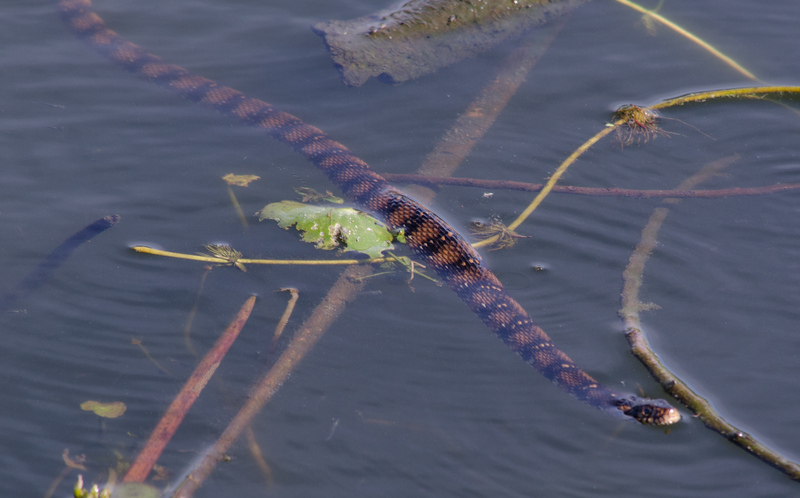 The birds would add to their nest with leaves and twigs from the trees along the shore of the small pond. 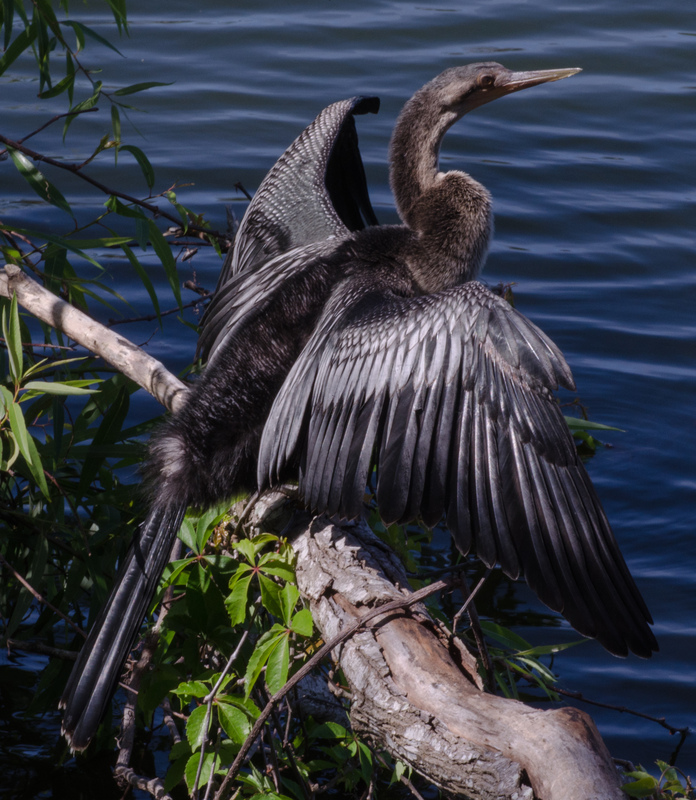 I think the largest population on the rookery was the Anhinga; a bird about 35 inches tall with an average wingspan of 45 inches. 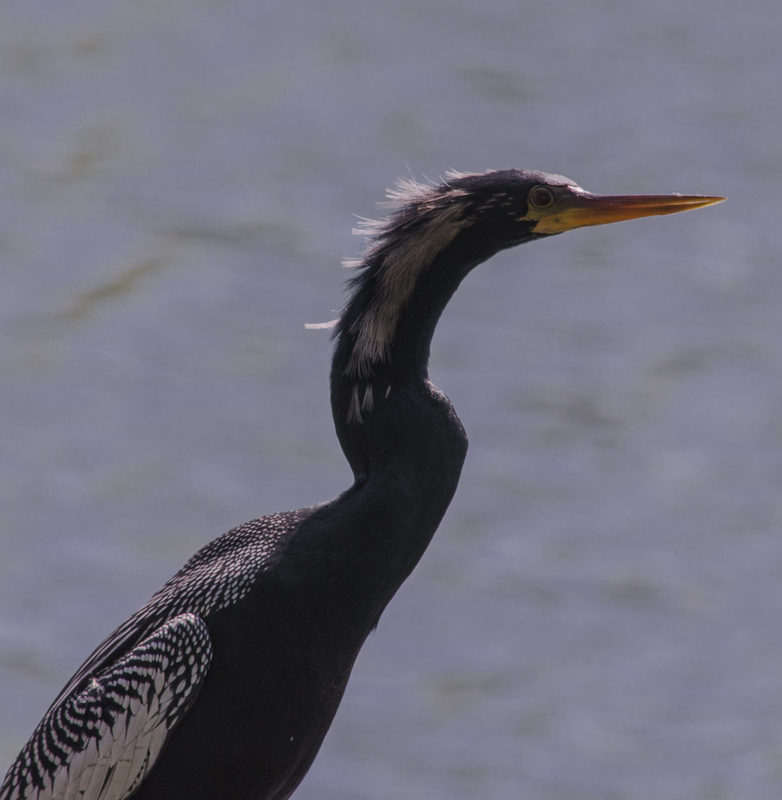 They, unlike many water birds, do not have a protective coating on their wings and thus will frequently be seen with their wings spread to dry out. 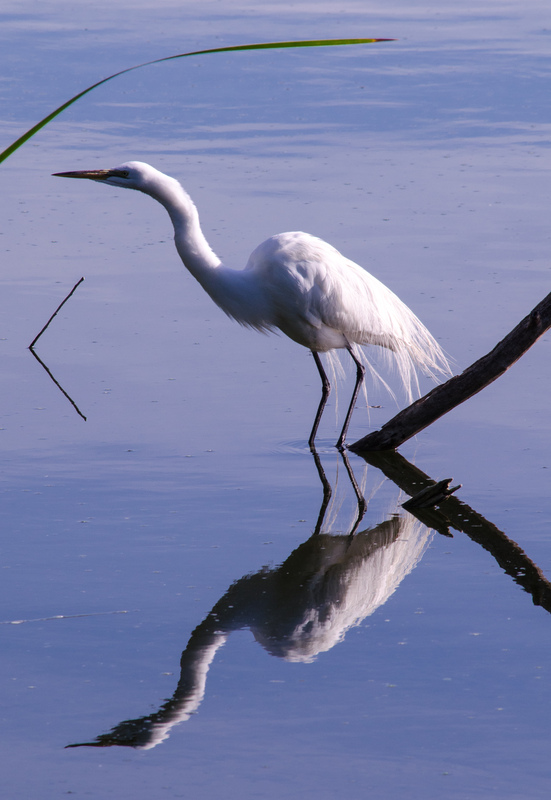 Close behind in terms of population is the Great Egret (averaging 39 inches tall with a 51 inch wingspan). 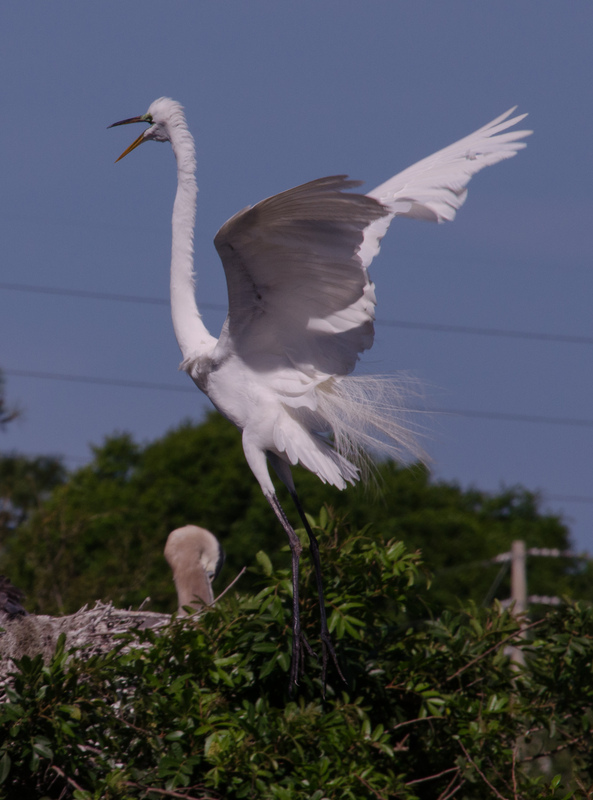 If you have heard or used the phrase “Don’t ruffle your tail feathers.” this picture will give you a visual, as this upset Great Egret complains to the world about the latest cable news story (or perhaps it’s a warning cry to others to stay away from her baby; seen as brown fluff in the foreground). 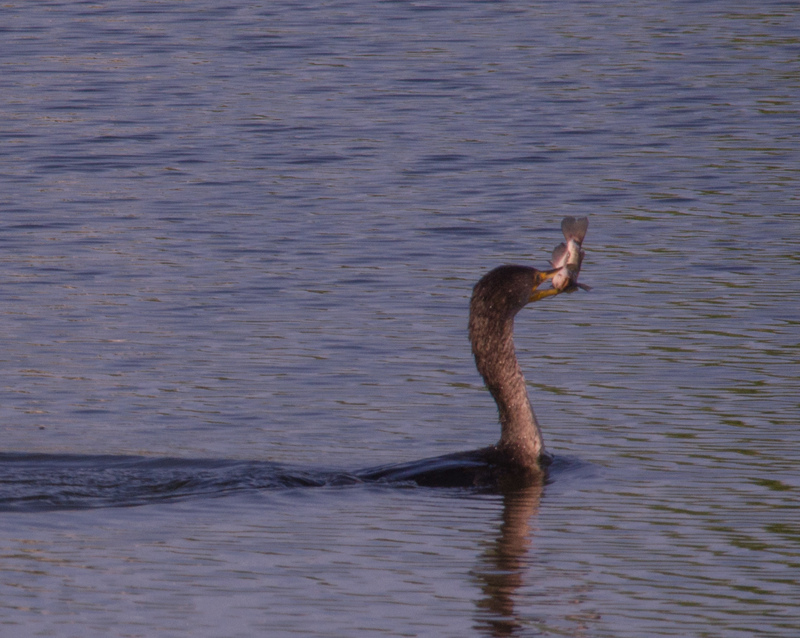 Rarer were the diving and underwater-fishing Double-Crested Cormorant (with fish and posing on branch), Green Heron (look hard for the touch of green in its wings), Glossy Ibis (not pictured) and snake (pictured). 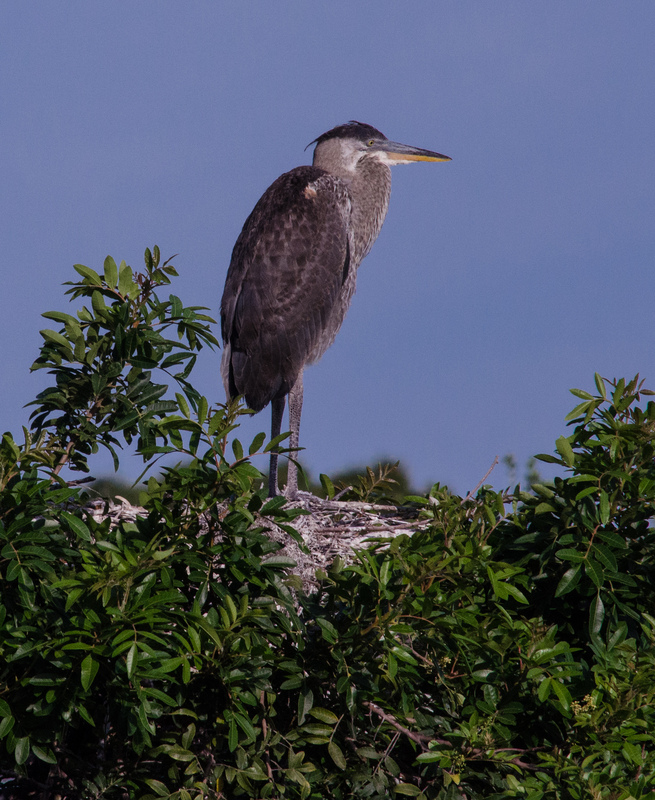 In many ways, the star of the show is the Great Blue Heron (averaging 46 inches tall with a 72-inch wingspan), here seen at the top of the rookery. 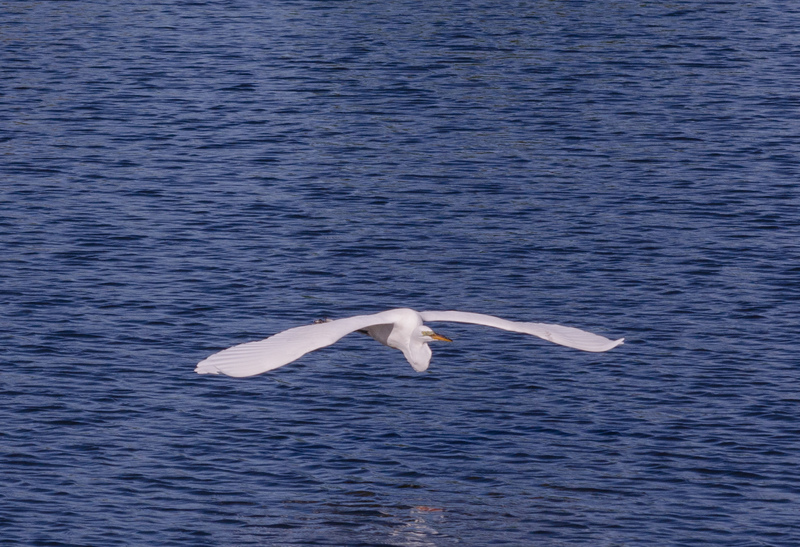 Surprisingly, both the Great Blue Heron and Great Egret are quite graceful in flight. 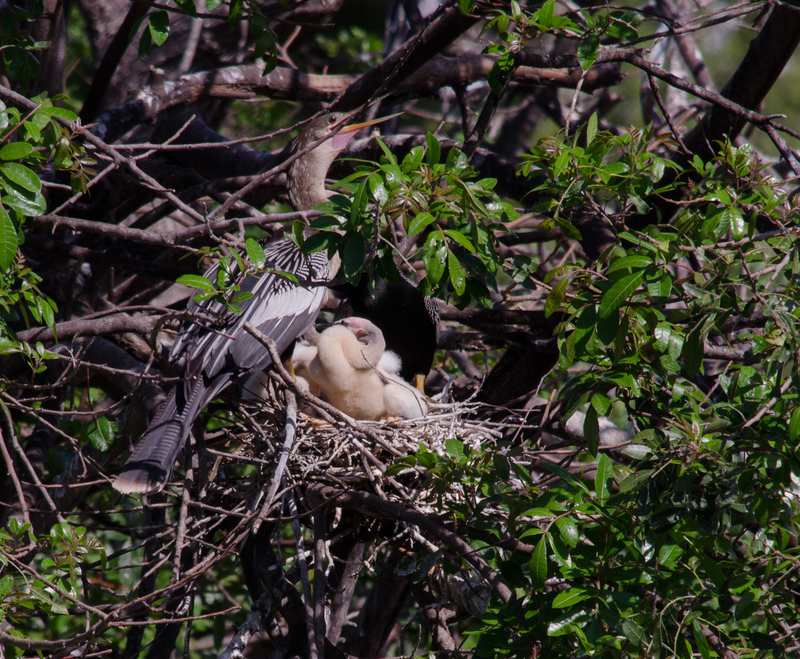 Many of the newborn birds were old enough for the mom (or dad) to get off the nest. 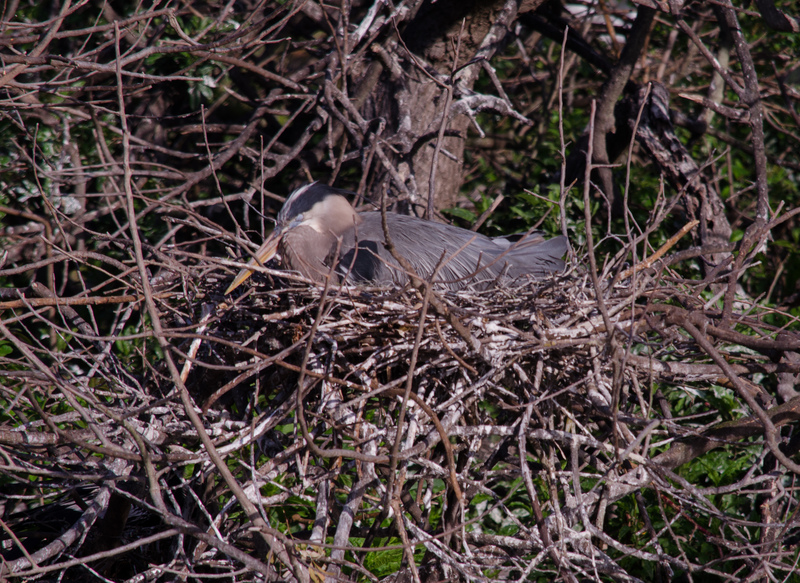 The Rookery was a great visit with a calm and majestic beauty that is hard to describe in words or pictures. 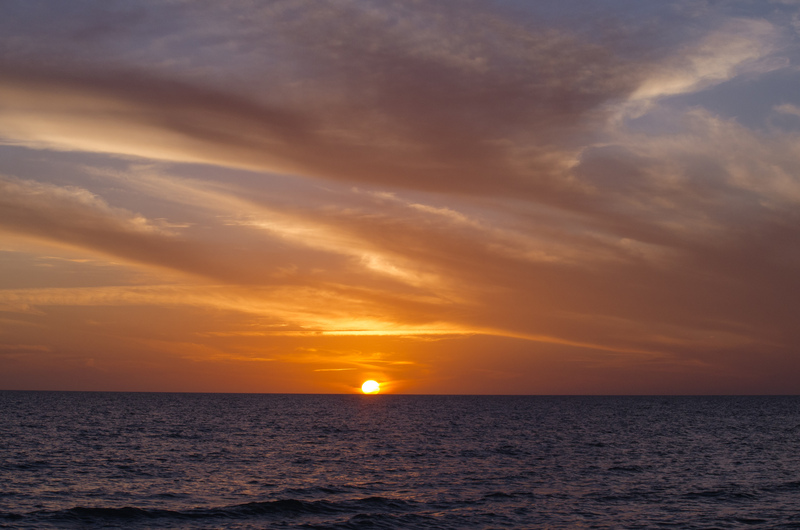 We had lunch after our visit and returned to Naples, where the sunsets seem to be always beautiful. 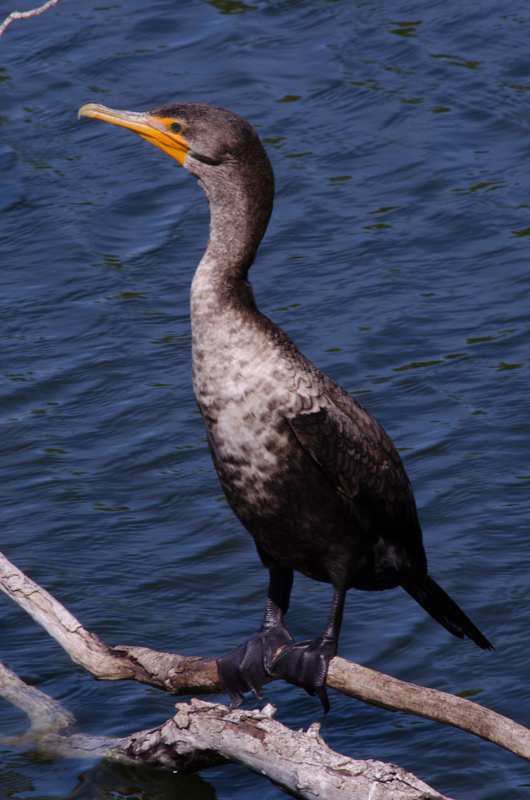 Coming Saturday: Water birds in the Everglades. You got some great shots. 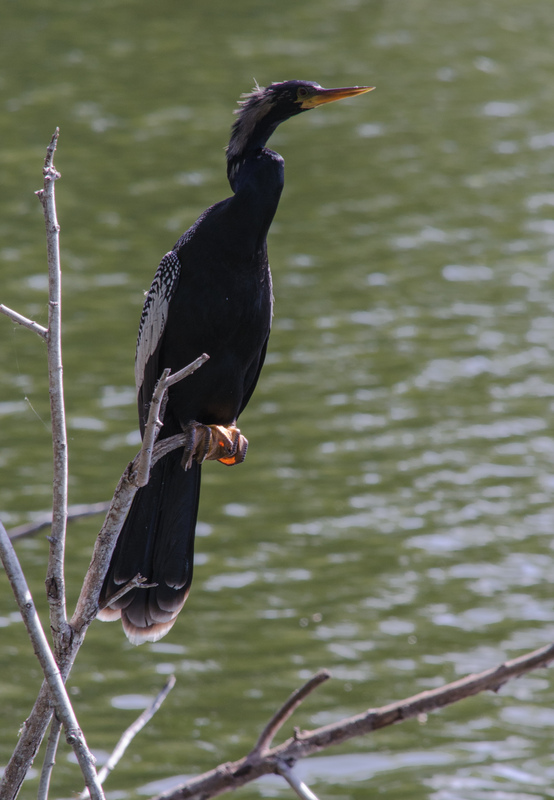 I haven’t sorted through my photos from the Rookery yet.